Chile's 33 trapped miners are likely to be trapped longer than any rescued miners in history. A bore hole will be drilled 688 m. to bring them out. By the end of August, 33 miners in northern Chile will have been trapped underground longer than any miners who ever survived a collapse. And they may be there another four months. The plan is to drill a bore hole from the surface of the San Jose copper and gold mine to where the miners have found refuge, almost 700 metres below. Drilling of the bore hole large enough to fit a mining cage should start later this week. It was Aug. 5 when a main mine tunnel, about 350 metres underground, collapsed. Seventeen days later, and after seven attempts, rescuers finally succeeded in drilling a 12-centimetre bore hole to a rescue station deep in the mine. When the drill was brought back to the surface, notes were attached. "The 33 of us in the refuge are well," said one note, written in big red letters with a felt pen. At the surface of the mine near Copiapo, Chile, and around the country, there was euphoria. Plans for a rescue immediately got underway. Normally, rescuers simply drill through a caved area or drill around the cave-in if the ground conditions are too risky. But Alex Gryska, the manager in charge of mine rescue in Ontario, suspects that in the Chilean case, "the bedrock is very soft or crumbly and that is why they cannot access it" by the normal method. 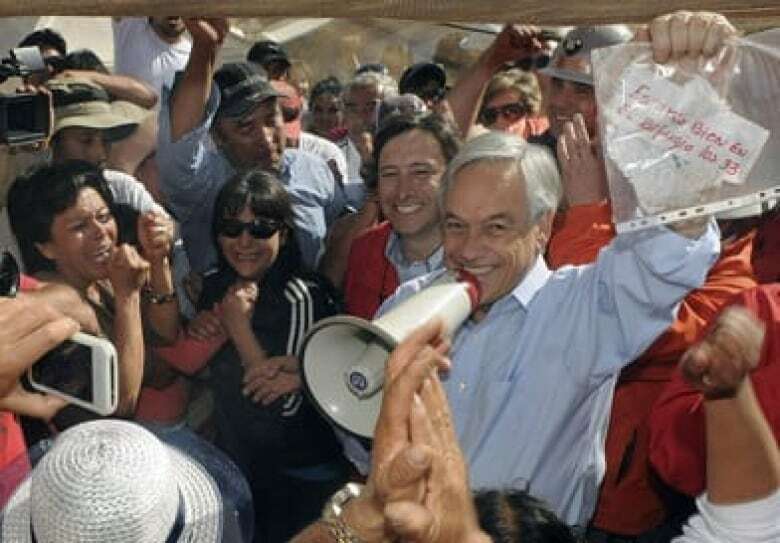 He said subsequent subsidence, which would cause other tunnels to cave in, is a big concern at the Chilean mine. The bore hole method was used successfully in Pennsylvania in 2002 to rescue 18 coal miners. But there are huge differences with the Quecreek mine and the San Jose mine in Chile. The bedrock at Quecreek is considerably softer, and the distance rescuers had to drill was about one-tenth of that being undertaken in Chile. Nevertheless, four months sounds unnecessarily long, according to one expert. Rod Breland, who used to direct all phases of mine emergency operations in the United States, including their national mine rescue team, speculates "they were estimating an outside window, maybe to keep people from expecting too much if they have problems." 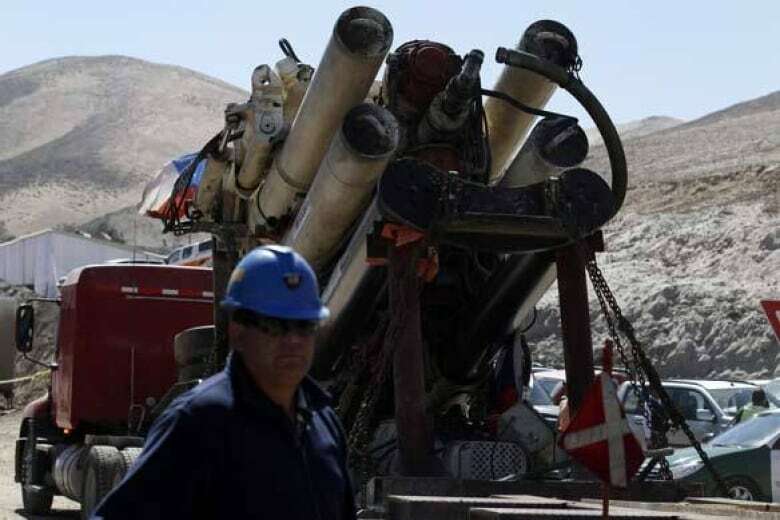 Estimates from different sources suggest the drill can go through 15-20 metres a day. Even allowing for significant delays it seems hard to see how it can take four months. Gryska, of Ontario's Workplace Safety North, says the bore hole plan is very challenging. Rescuers are trying to hit a room through bedrock from half a mile away. Preventing a drift in direction will be difficult. "A lot of times they will deviate substantially — hundreds of feet — and they could miss the location," he said in an interview with CBCNews.ca. Another big concern for both Gryska and Breland is a broken drill bit. That happened during the Quecreek rescue, even while drilling through softer rock. Breland told CBCNews.ca that another challenge will be getting the muck out of the hole as they drill. And as they get farther down, progress becomes slower. A faster method of drilling the large bore hole would be to upream it, Breland said. First rescuers drill a small hole, then they would need to get bits down to the trapped miners. The bits would be in pieces that the miners would assemble. "It would be a good thing if they could get involved in their own rescue," Breland, now a mine safety and rescue consultant, believes. Chile's two leading newspapers, El Mercurio and La Tercera, have helpful graphics explaining the mine accident near Copiapo, the attempts to find the miners and the rescue plans. Even if you do not read Spanish they are still worth a look. This is a link to El Mercurio's graphics. He expects the miners have already made sure their area is safe. They realize they will be there a long time — "even if we have to wait months to communicate," miner Mario Gómez wrote to his wife in one of the first notes to get to the surface. So they have likely figured out their sanitation issues. Getting toothbrushes sent down was high on the miners' priority list. They have used a backhoe to get access to underground water and rewired motors to recharge their head lamps and other lighting. When the ventilation comes down they will set it up and that should give some relief from the 33 C heat and high humidity underground. 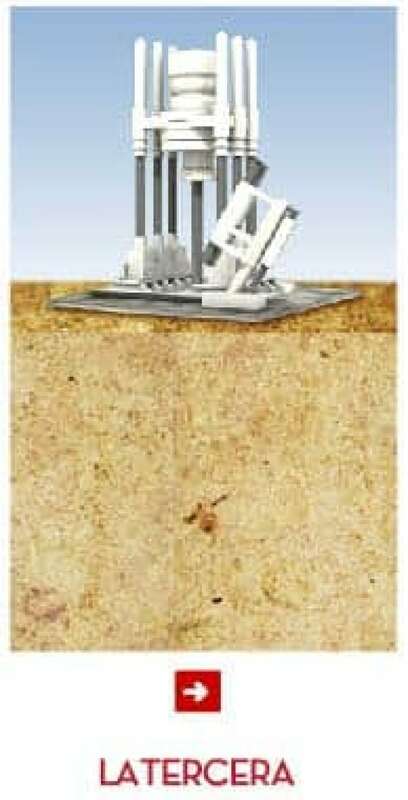 Not only air, water, food and electricity can be sent to the miners via the now two small bore holes, with a third being drilled. "If people get creative they can ship a lot through those small holes," Breland said. It's critical the miners communicate well about what resources they have and what they need. Material is sent down in 11x170 cm tubes called palomas, or doves in English. Efforts are underway to make the miners as comfortable as possible. But at the mine head there seems to be more concern about how the miners will cope with the psychological challenges than the physical. Their situation has been compared to being in prison. Psychiatrists have begun to prepare detailed assessments using relatives, medical files and questionnaires sent underground in the palomas. They will then build a profile of the miners in order to help them cope. Once the 66 cm diameter rescue shaft gets through to the miners, Gryska expects a standard mining cage, suspended using a winch, will be used to take them up one at a time. Each 688 metre journey should take a matter of minutes. 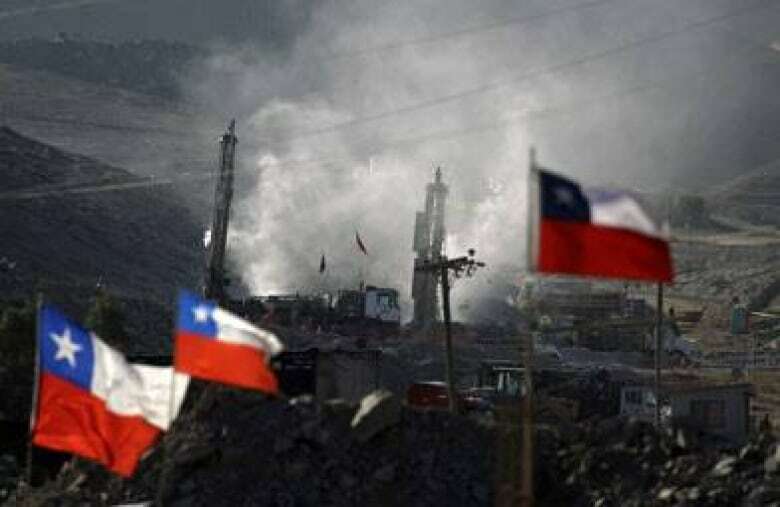 "Miners typically are in good shape and they have strong wills, and they form a brotherhood," said Rod Breland, who has more than 40 years of mining experience in the U.S. and other countries, including Chile. "They'll be very close to one another and they'll help each other pull through whatever rough times they face. I'd say their chances are very good." Alex Gryska is also confident but says the rescue is challenging. However, now that contact is established, "they have gotten over the worst of it." And their families expect to have them back, despite the long wait. "Can you imagine? After 30 years of marriage we will start sending each other love letters again," Mario Gómez's wife Lilian Ramírez said at "Camp Hope," the families' collection of tents they set up at the mine head.